I randomly had a peek in the local chemist near work last week and spotted these gorgeously packaged body care products by MOR Modern Apothecary, an Australian brand specialising in bath, body, and lifestyle products. 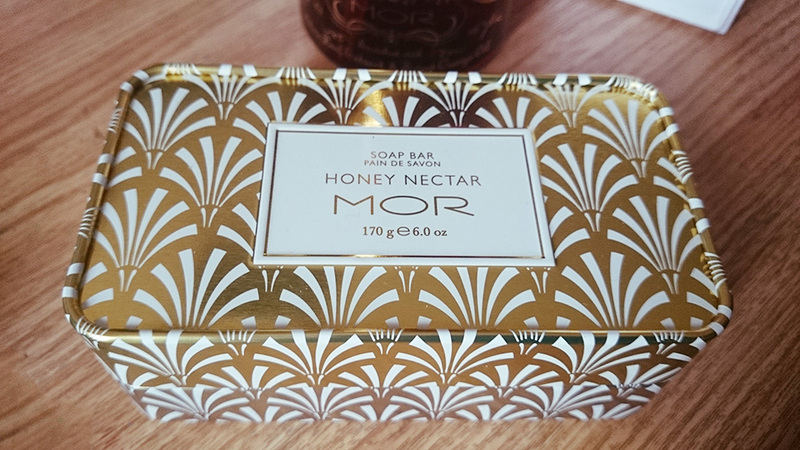 MOR’s philosophy is to provide a unique sensory journey, where an everyday practice turns into an indulgent daily ritual – from the finely blended formulation, to the exceptionally detailed and opulent packaging. MOR invites you to experience and surrender to the awakening of your senses, with the blending of old time ingredients, uniquely selected fragrances and luxuriously rich creations. Each collection is inspired by the tales of ancient civilisations, by-gone eras, travel, and art allowing the creation of a truly unique story, capturing and emanating a moment in time. 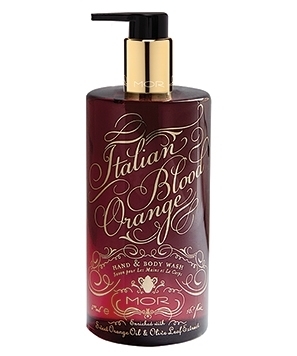 I bought the Italian Blood Orange Hand and Body Wash, and the Honey Nectar Soap Bar. They’re definitely on the hefty side of price ranges but the exquisite designs and decadent colours are irresistible. I am a sucker for lettering, Art Deco patterns and other homages to bygone eras, so it was really a no-brainer. I could easily keep the bottles and tins long after use—they’re all so pretty. You can have a look at their 2014 product catalogue.